(SPOILERS) Not generally regarded as in the upper echelon of Hitchcocks, and certainly one the director, in his self-deprecating way, regarded as a stop-gap, taking on the Broadway hit “because it was coasting, playing it safe”. What’s remarkable about Dial M for Murder, however, is the manner in which its director makes the limits of the original medium irrelevant, not by “ventilating the play”, as Truffaut put it, but through averring that “the basic quality of the play is precisely its confinement within the proscenium”. In other words, it’s all still pretty much set in one room, and as Peter Bogdanovitch observed “It is a triumph of shooting a talky play in a small circumstance”. Hitch’s advice to “Just shoot the play” may sound simple, but it fails to explain why so many “just shot” plays make such arid, inert films. 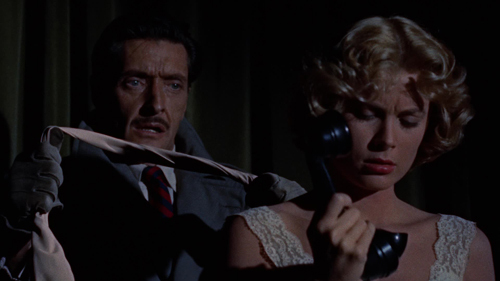 It takes an auteur to know intuitively how to bring out the material, even though, for the most part, there’s little in Dial M for Murder that draws attention to itself in terms of stylistic flourish. Hitchcock really does make its success seem deceptively simple. There was vaunted 3D involved (I haven’t watched that version), at the insistence of the studio, although the director dismissed its importance, commenting that there were “very few effects directly in relief”. 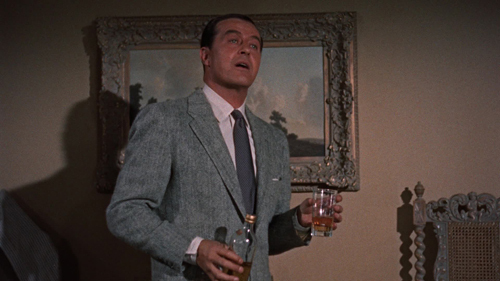 The exception stylistically is, unsurprisingly, the central (attempted) murder sequence, as Swann (Anthony Dawson, Professor Dent in Dr. No), blackmailed by Tony Wendice (Ray Milland) into murdering his adulterous wife Margot (Grace Kelly) attempts, rather ineptly, to strangle her. Hitchcock ratchets up the tension ruthlessly, with Swann unable to make his move due to a pesky intrusive telephone cable, and when he strikes, the struggle finds Margot falling back onto a desk, her hand outstretched towards the camera (all the better for 3D) grasping for some sort of implement, until she locates a pair of scissors that she promptly plunges into her assailant’s back. Who then proceeds to jerk upwards, and particularly grimly, fall backwards, further embedding the makeshift weapon. If that’s the most cinematically effective scene of tension, though, there’s nevertheless a masterful line running throughout, taking in the classic Hitchcock approach of making us feel for the bad guy, be it the obstacles Swann encounters in his attempted murder or smooth, urbane Tony realising his watch has stopped and that his best-laid plans may be botched. Indeed, as Bogdanovitch notes, Hitchcock’s casting of Milland as someone to root for is merely underlined by how unlikeable Robert Cummings’ Mark Halliday is. 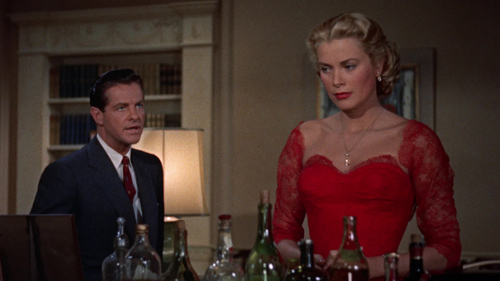 Hitchock might have cast someone closer to Kelly’s age (Cummings was five years younger than Milland, but still twenty older than Kelly) to suggest that her attraction/carrying on was reasonable, but instead he puts her in a red dress (formerly white, when we first see her having breakfast with Tony) and gives Mark a line in self-assured petulance. We’re irritated that he appears to have worked out Tony’s scheme precisely. 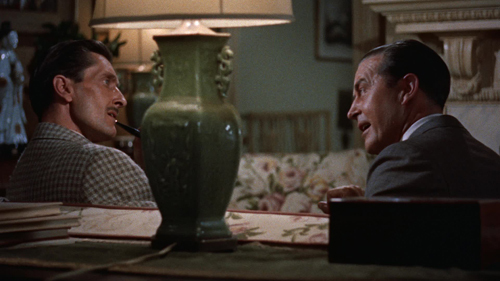 Less so that Chief Inspector Hubbard (John Williams, also in the director’s The Paradine Case and To Catch a Thief), an affable sort, is revealed to nurse his own suspicions and seems just as annoyed by Halliday as the audience (“They talk about flat-footed policemen. May the saints protect us from the gifted amateur”). 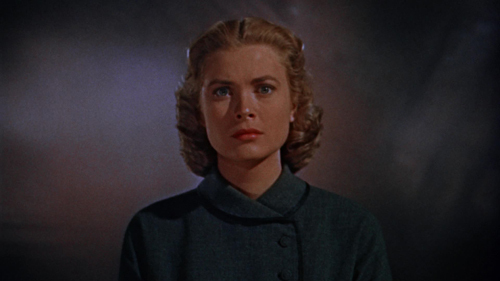 Kelly would go on to be identified as the ultimate Hitchcock ice queen, but Margot is nothing much to shout about as character, aside from her heroic success against Swann. There’s an imaginatively minimalist shot of her trial (the camera is on her as we hear the verdict), but she disappears from much of the latter third before returning to the scene of the crime where she requires a pep talk in fortitude (“Try and hang on just a little longer”). Apart from being Grace Kelly (no small thing), Margot has little going for her. Certainly, woeful judgement since she has a blissful life with a chump to look forward to. While the transition from stage to screen is all down to Hitchcock as far as credit goes (Frederick Knott adapted his own play), this would be nothing without Milland’s enormously charming performance. 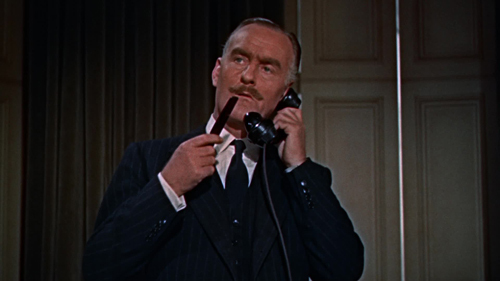 The early invitation to Swann to murder finds Tony, entirely casually and confidently, clearing up fingerprints after the man he has already assured himself will do the deed. That he remains unflappable when plans go awry makes him one of the most endearing Hitchcock villains. 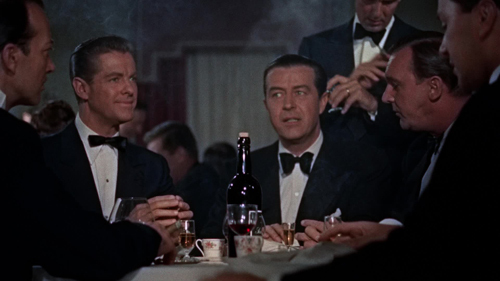 Indeed, you want to let him off for the final scene alone, in which, rumbled, he gives up any aspiration to escape and cheerful compliments his captor (“Congratulations, Inspector”) before offering drinks to all present. The conceit of a perfect murder (used for the title of the 1998 remake, which is respectable in its own right thanks to expert casting – Michael Douglas, Gwyneth Paltrow and Viggo Mortenson – and choosing a different tack to the original) is a bit of a dodge really, though, as Mark suggests such a deed is only possible “On paper”. As a fiction writer, though, he inevitably deals in plots where the murderer is eventually brought to justice; it’s generally in reality that the murderer gets away with his crime. 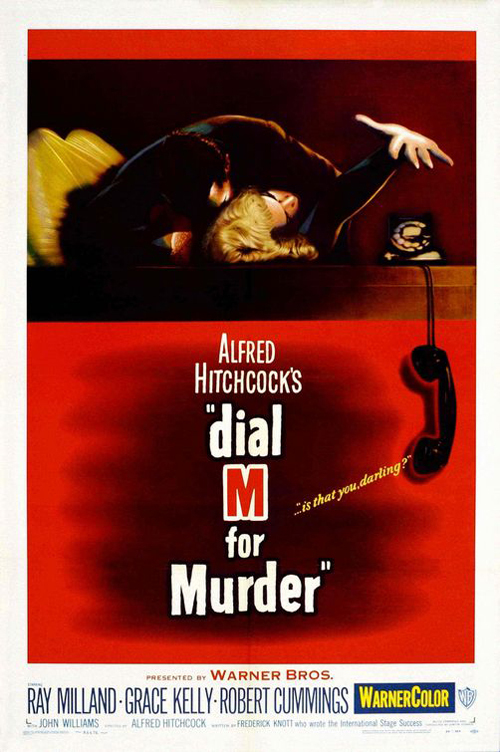 Dial M for Murder may not be many people’s absolute favourite Hitchcock film, then, but it’s one in which his nonchalant confidence in knowing precisely what was required to bring the material to the screen is unparalleled. 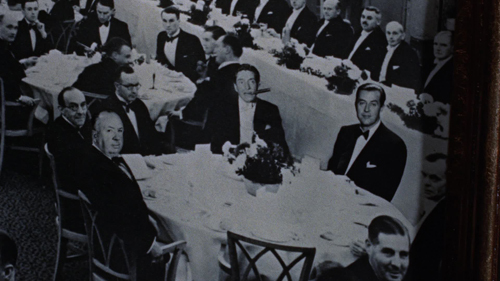 He even makes the most economical of cameos (on a framed reunion dinner photo that Tony shows Swann).